Personen die Kroatie toeristisch willen bezoeken en hebben hiervoor een visum nodig, kunnen met hulp van Adriatic.hr de kosten voor het visum vergoed krijgen. U moet hiervoor accommodatie reserveren uit het aanbod van Adriatic.hr, in 2019, ter waarde van minstens 500€! Alle details over deze mogelijkheid kunt u lezen in de handleiding. The guest who visits Croatia with a passport issued in a country that visa regime is applied to and books accommodation from Adriatic.hr offer for the season 2019 in the minimum amount of 500 € is entitled to a refund of visa processing costs. Visa costs refund is offered by Adriatic.hr to direct guests only. Adriatic.hr covers the costs of obtaining a tourist visa only. Costs for a transit visa the guest might need on his/her trip to Croatia will not be covered by Adriatic.hr. Visa costs refund is not applied to children under 6 years of age who do not need visa to enter Republic of Croatia and to children older than 6 years of age who are added to their parent's passport so obtaining a visa for them is not additionally charged. Visa costs refund for one visa is 35 € for the citizens of Russia, Ukraine, Georgia and Kosovo, and it's 60 € for the citizens of other countries that visa regime is applied to. For each accommodation reservation in the minimum amount of 500 € that the guest who needs a tourist visa to enter Croatia makes, Adriatic.hr will refund the costs of one visa. In case the guest wants to get visa costs refund for several people, the minimum reservation amount (500 €) is then multiplied by the number of visas for which the guest wants a refund. Discount for visa costs refund will be included already in the pre-invoice for the reserved accommodation. The guest is obligated to pay the full amount of reservation to the Adriatic.hr bank account. 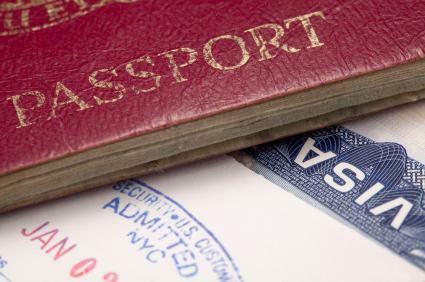 The guest who wants to get visa costs refund is obliged to deliver travel documents copies for all people for which he/she wants to get visa costs refund to Adriatic.hr by e-mail or fax, upon making reservation requests or before reservation confirmation at the latest. If the guest makes more than one reservation for the same person within one season, visa costs refund option can be applied only once.